Partygoers can expect a lot of fun under the sun with on-ground carnival games, water activities, and live music performances by Cebu’s homegrown musicians and Manila’s top DJs at the Klook Sinulog Beach Festival from 2 p.m. onwards this January 18, 2019. The music personalities and groups performing at the festival will include Mandaue Nights, Sepia Times, Lourdes Maglinte, and Eco plus Manila DJs Deuce and Nix Damn P! along with John Bosque, Renzo Senining, and Victor Jao. The event is part of Klook’s mission to help build local tourism and promote local destinations, said Klook Philippines Market Lead Michelle Cruz. “A lot of our efforts in the past year have been focused on attracting different key destinations in the Philippines,” she added, citing that Klook has entered into exclusive partnerships with Ocean Park, Enchanted Kingdom, Aqua Planet in Clark, and Happy Beach in Cebu. The company already has over 70 partners in the Philippines, 10 of which are in Cebu. Klook targets to gather around 5,000 guests to its Sinulog Beach Festival in Happy Beach. 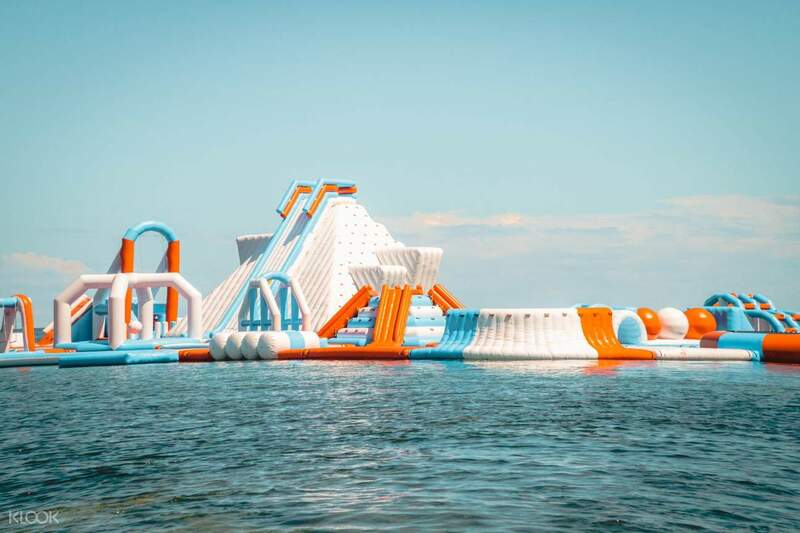 Carnival games, face painting, henna tattoo and such water activities as kayaking, parasailing, waterboarding as well as sidewinder, jetski, and banana boat rides are just some of the fun activities they can expect during the event. PROMOTE LOCAL. The event is part of Klook’s mission to help build local tourism and promote local destinations, said Klook Philippines Market Lead Michelle Cruz. Klook’s festival partners include Cebu Pacific, Havaianas, and Happy Beach. Cruz said they’re working with other merchants to provide festival guests with a wide selection of food and drinks. She added that Klook has a lot of plans for Cebu, beginning with its very first activity Sinulog Beach Festival. They also hope to bring a mobile-led experiential travel festival that Klook first introduced in Manila last September 2018. Early bird admission ticket is priced at P795, but only P500 each for groups of four under the Barkada Bundle offer. This already includes an admission ticket to the Sinulog Beach Festival, one drink, and point-to-point transportation to and from Happy Beach. Pick-up points start at 11 a.m. from SM City Cebu and Parkmall in Mandaue City. The Sinulog Beach Festival will run from 2:00-10:00 p.m. Founded in 2014, Klook provides travellers a seamless way to discover and book attractions, tours, local transportation, best food tours and must-eats, and other unique experiences around the world. Download the Klook App and enjoy P200 off on your first booking when you use promo code <KLOOKIT200>. Visit their website at www.klook.com and follow them on Facebook at @klookph and on Instagram at @klooktravel_ph.